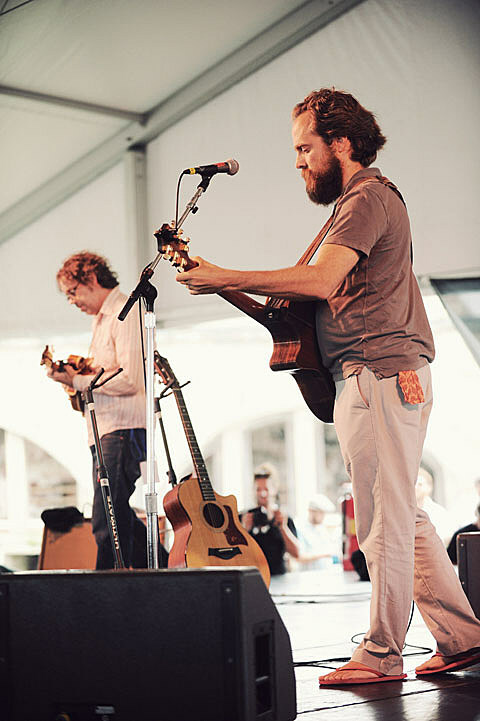 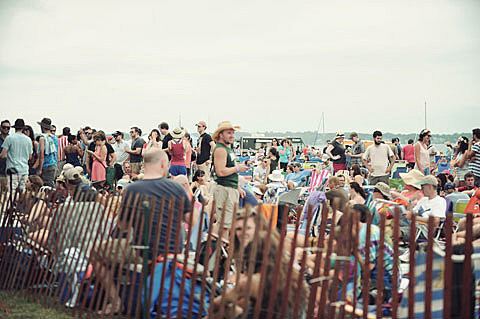 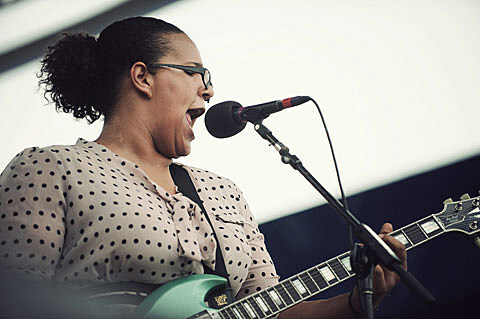 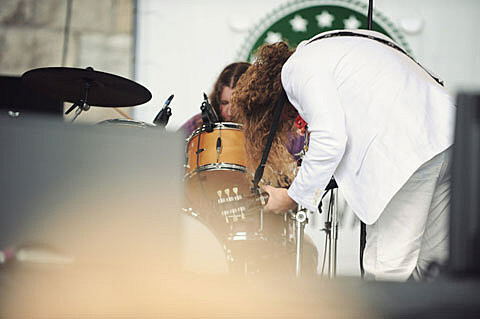 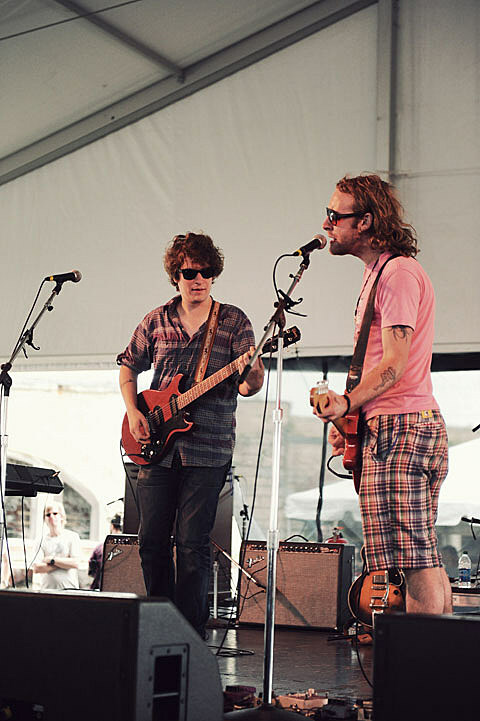 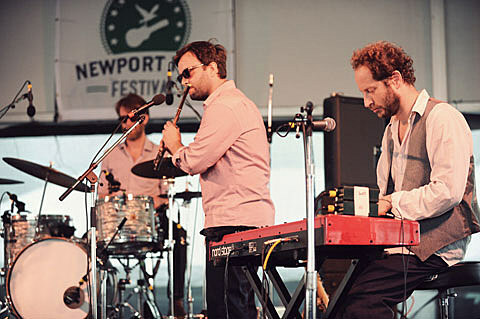 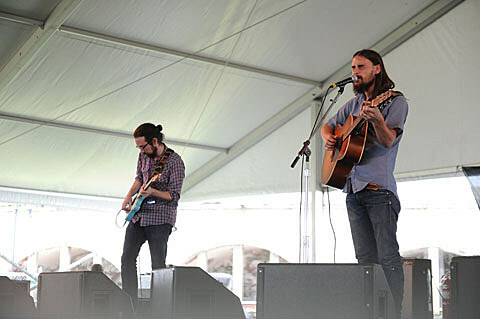 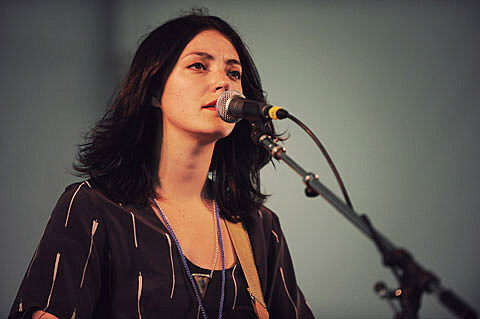 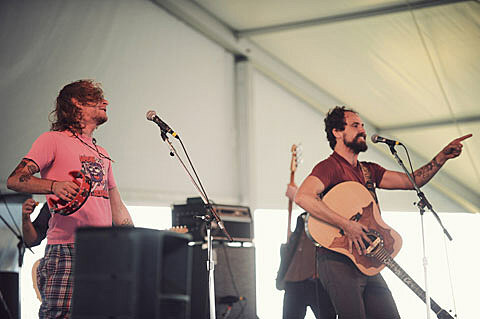 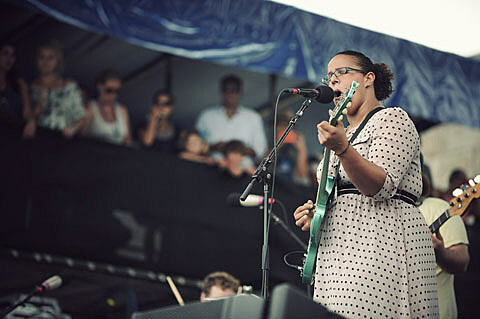 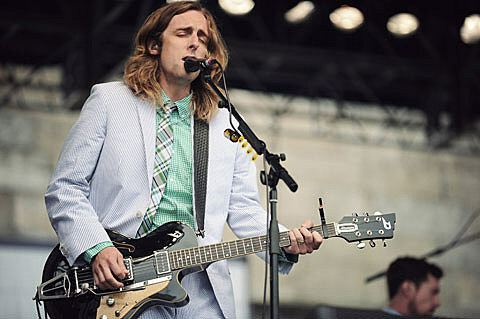 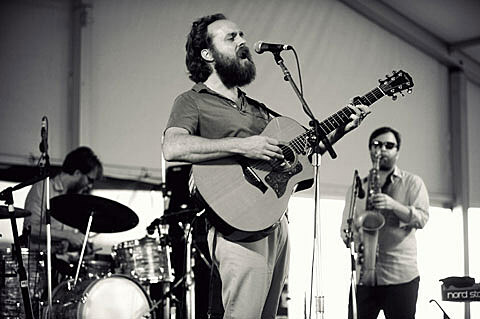 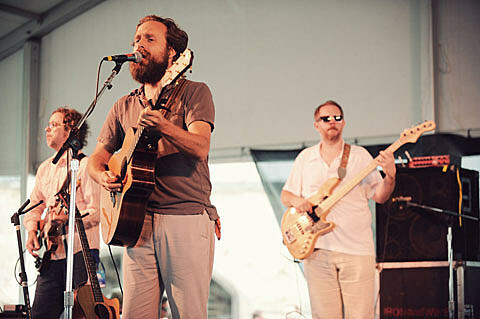 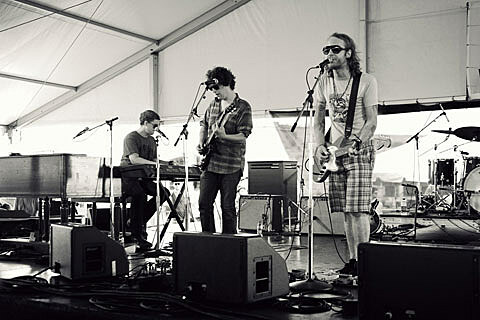 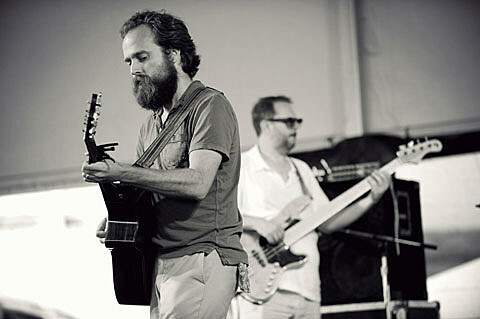 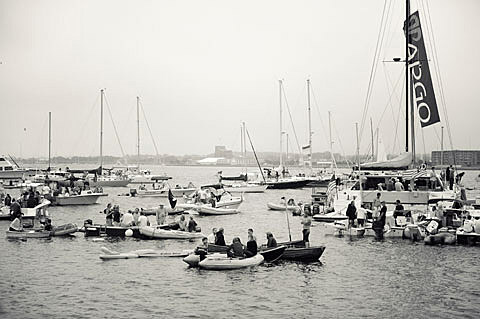 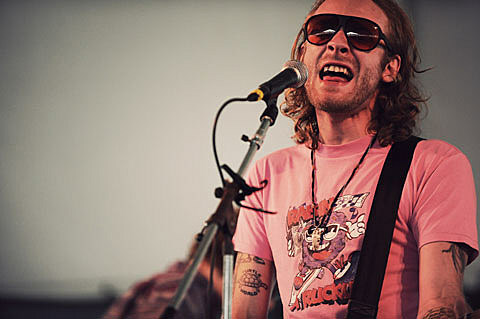 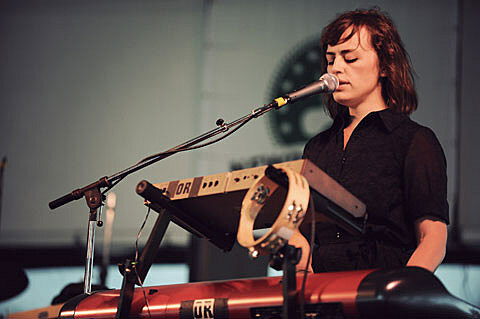 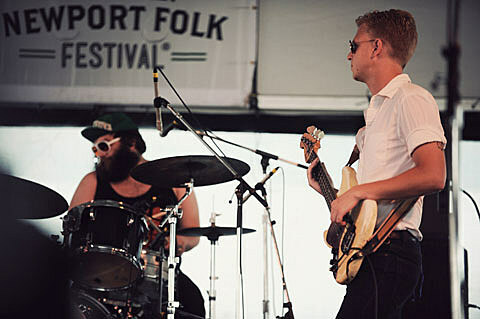 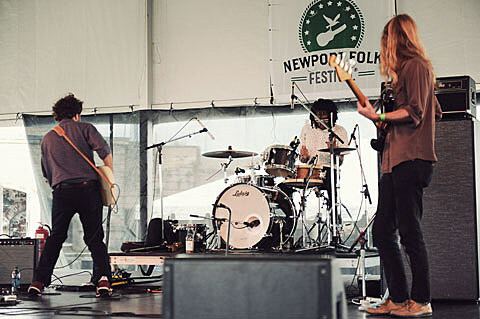 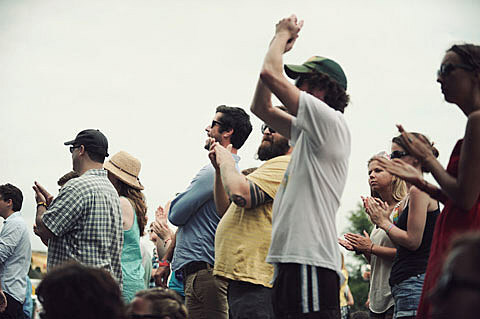 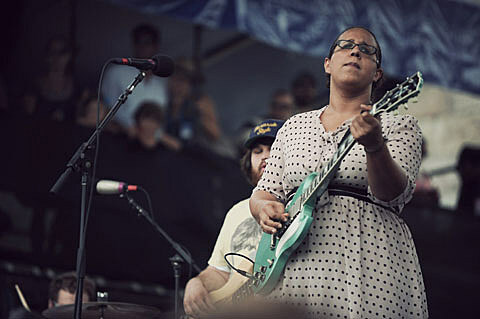 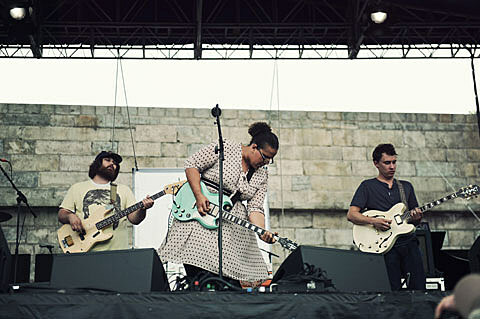 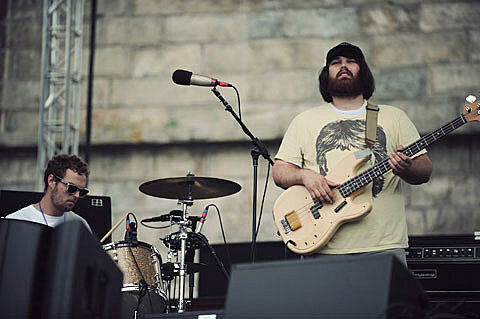 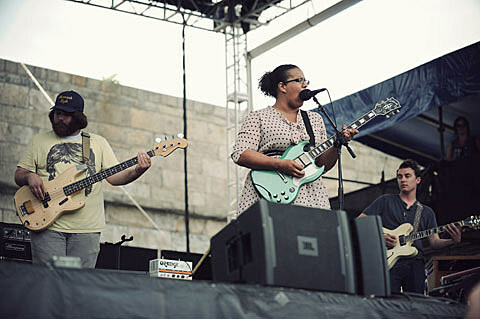 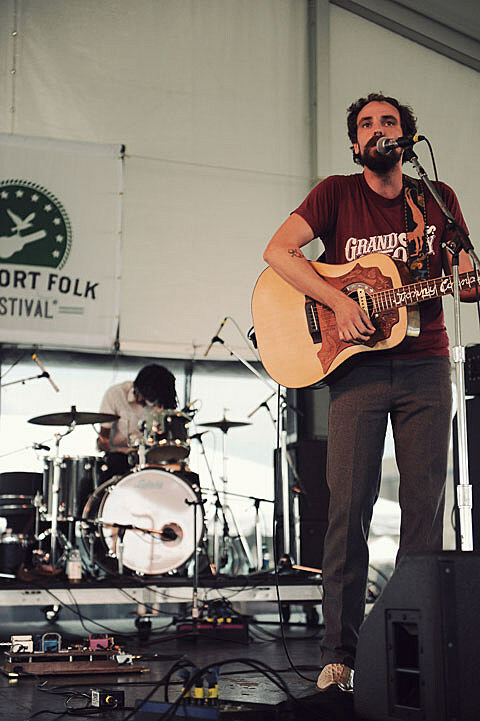 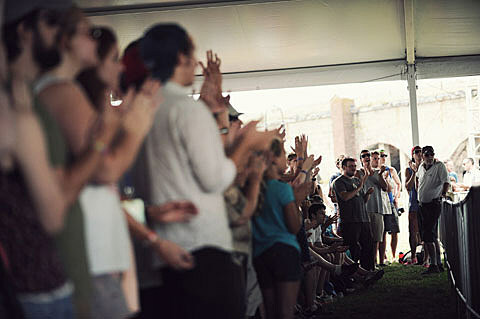 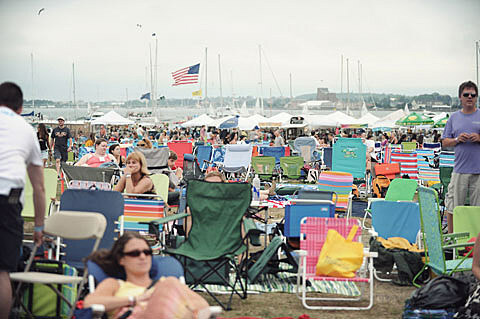 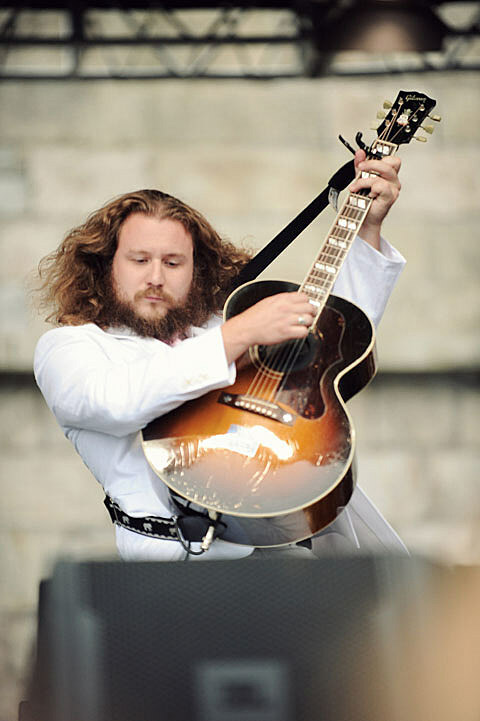 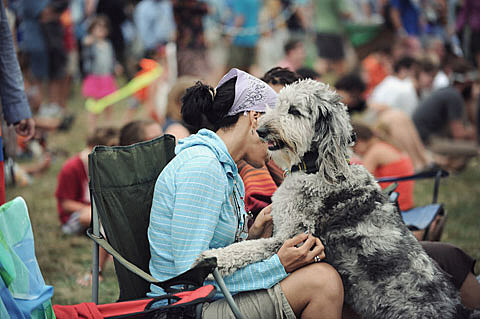 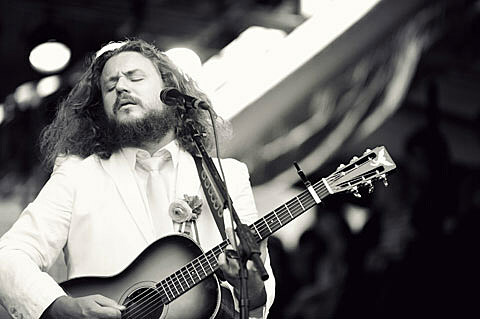 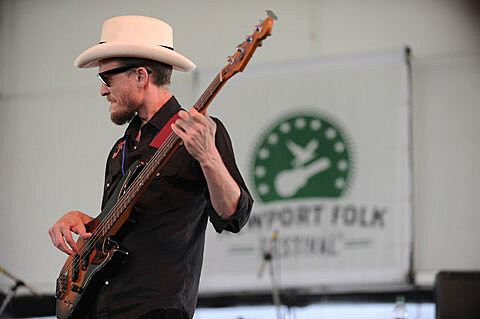 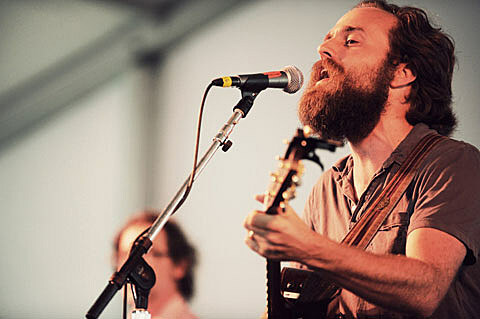 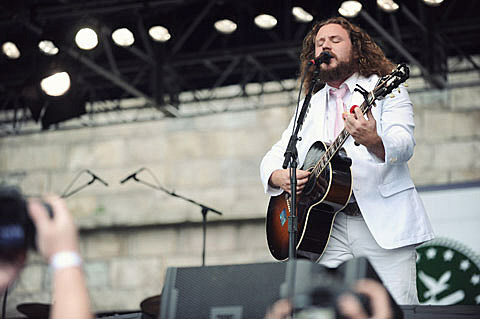 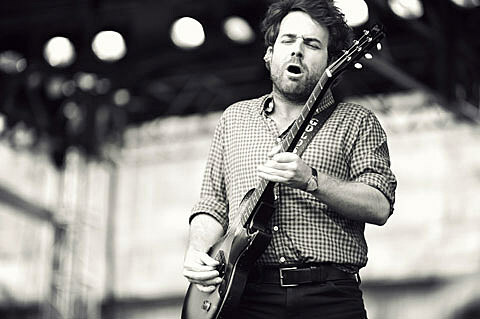 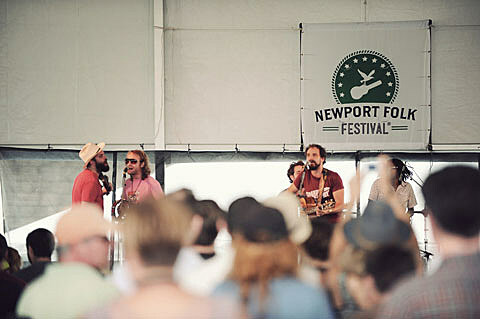 After a kickoff show with Wilco, Blizten Trapper, and Megafaun, the Newport Folk Festival fully began this past Saturday (7/28) in Rhode Island’s Fort Adams State Park with performances by Iron & Wine, Deer Tick, Sharon Van Etten, Alabama Shakes, Guthrie Family and more. 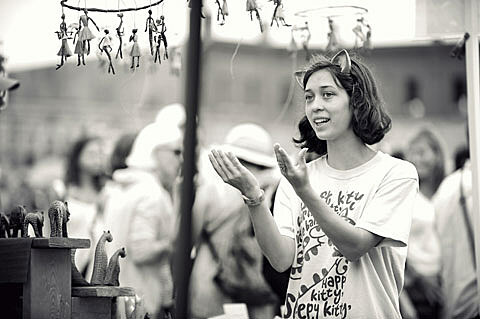 Pictures of those artists are in this post. 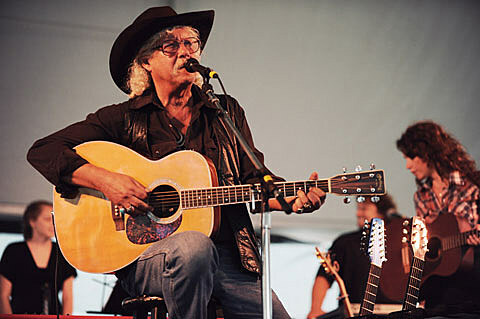 As mentioned in the Rolling Stone review above, many late folk legends were honored at the show with tributes from their disciples, especially Woody Guthrie, who would have turned 100 this year, and was also honored by Wilco at the pre-show. 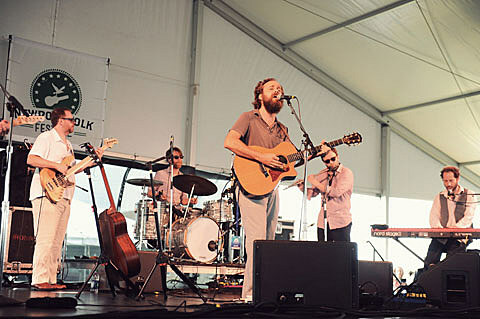 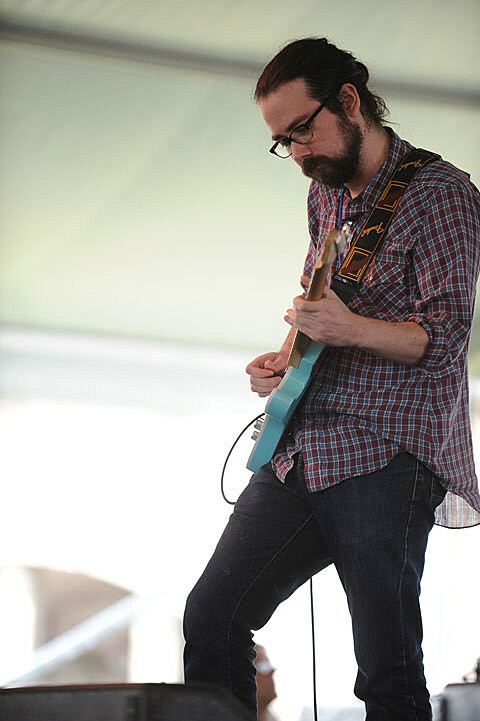 Sunday’s (7/29) lineup also saw a set from New Multitudes, the new project of Jim James, Jay Farrar, Will Johnson, and Anders Parker whose album is made up entirely of previously unreleased Guthrie lyrics. 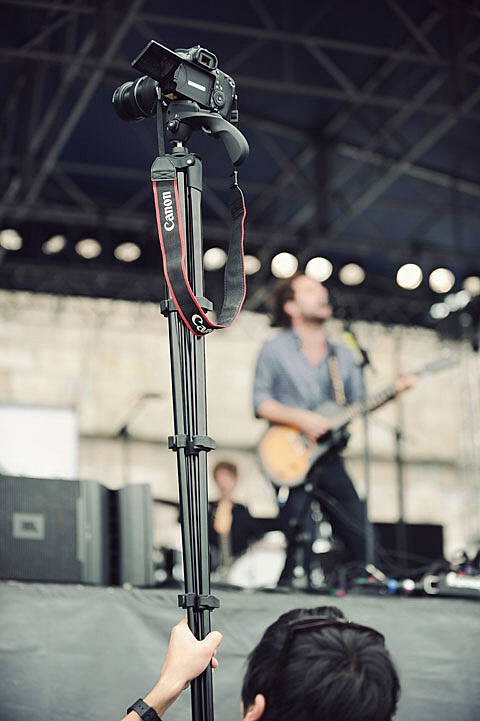 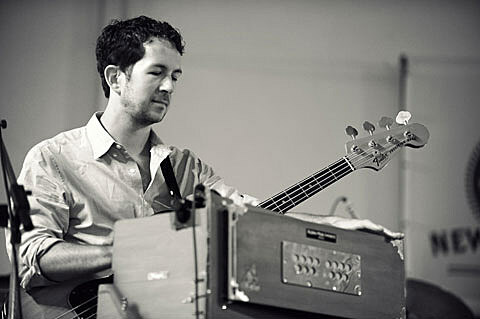 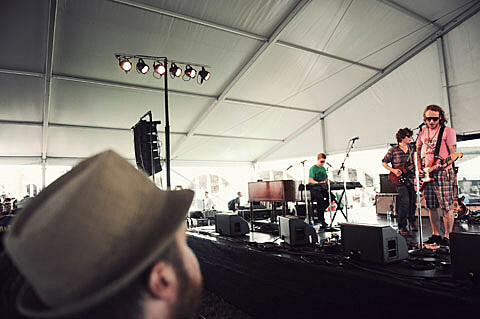 If you couldn’t make it to the festival, did you stream it online? 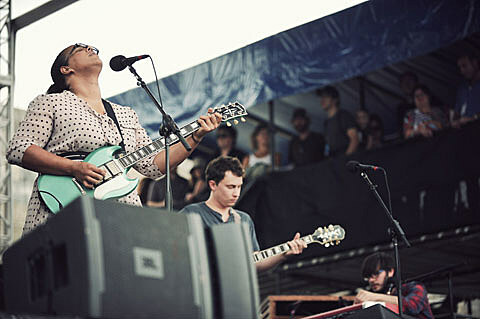 If not, NPR has got the archives of many sets including those of tUnE-yArDs, Alabama Shakes, Charles Bradley, Spirit Family Reunion, First Aid Kit, and more. 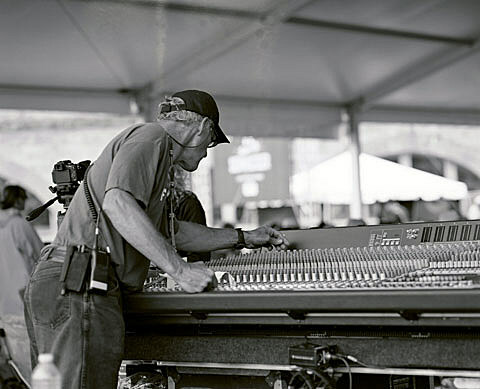 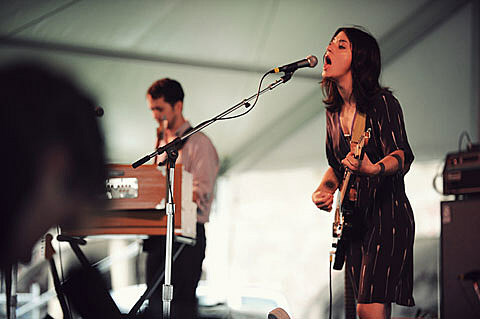 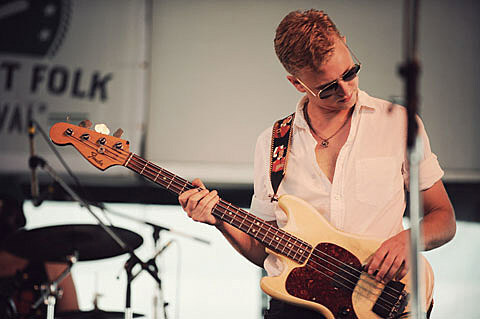 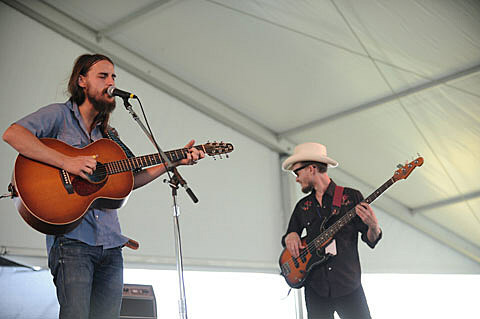 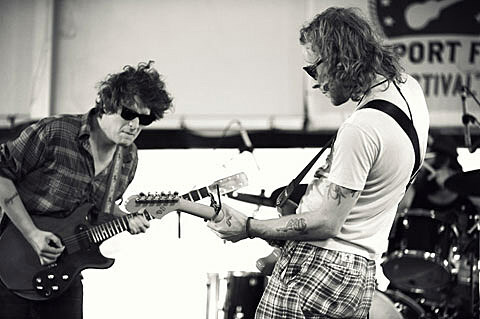 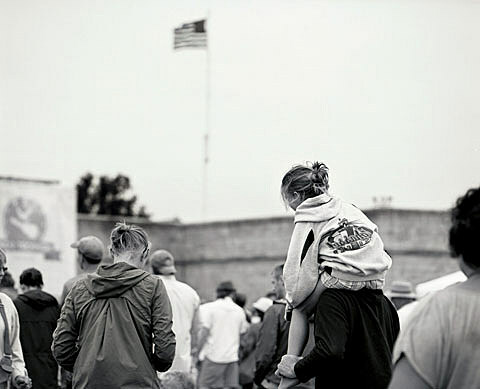 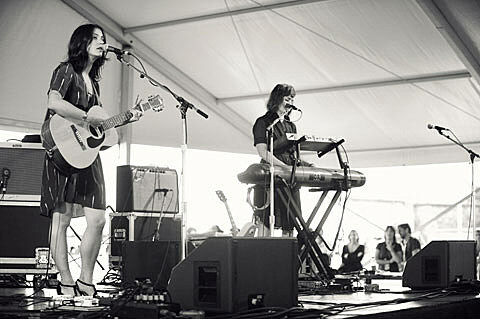 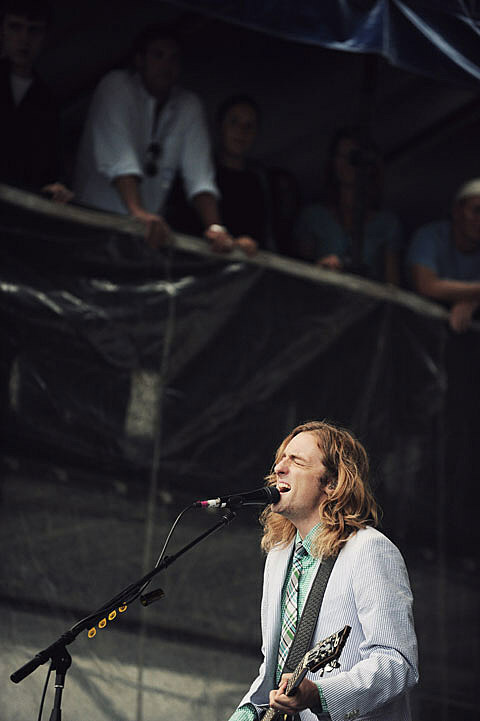 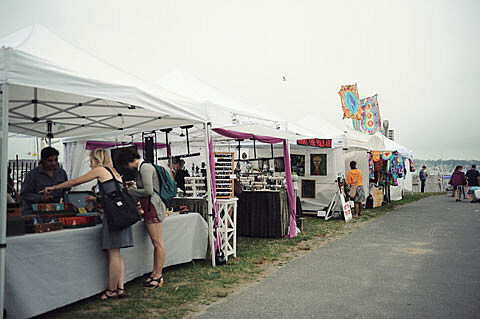 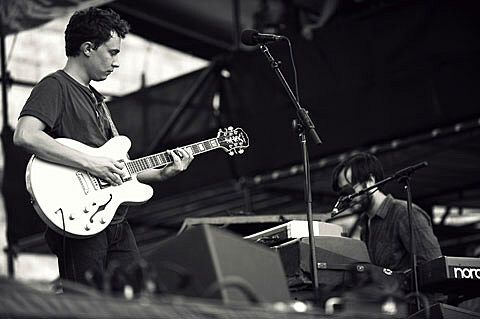 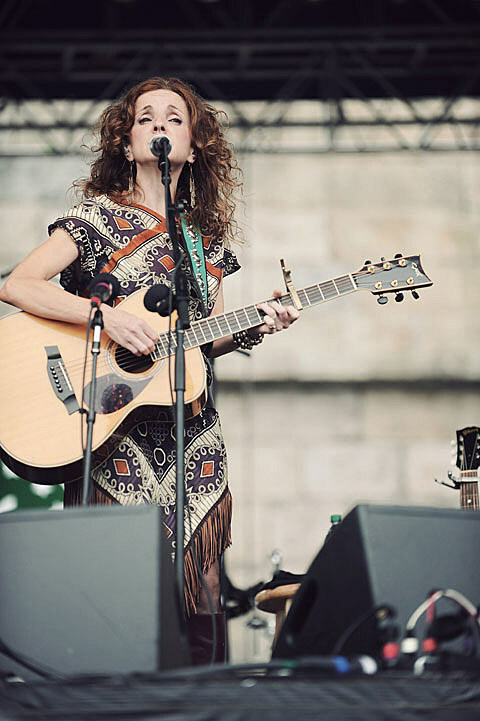 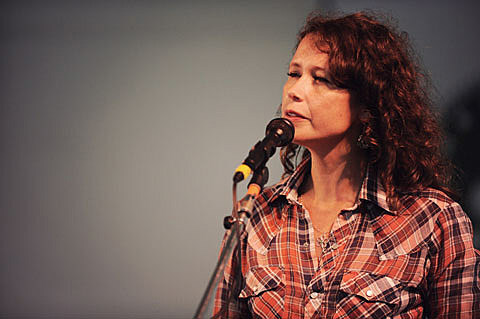 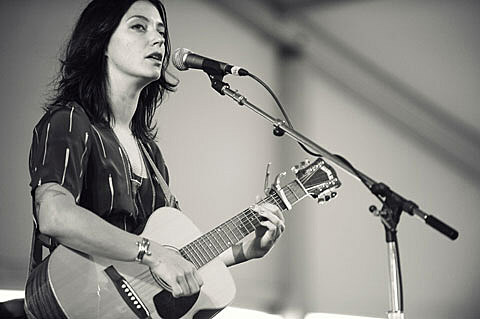 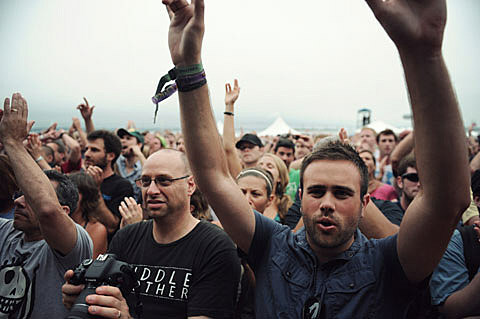 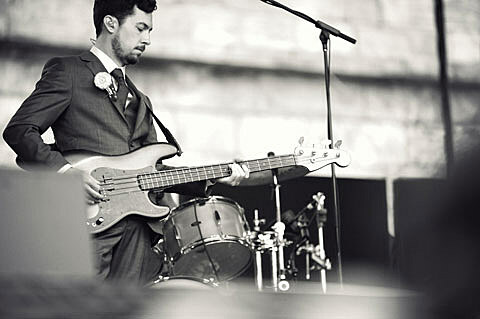 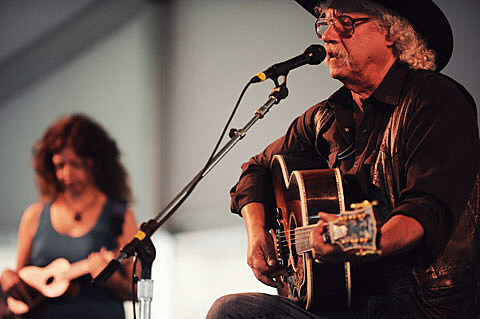 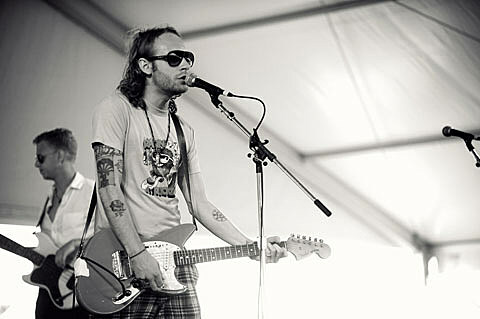 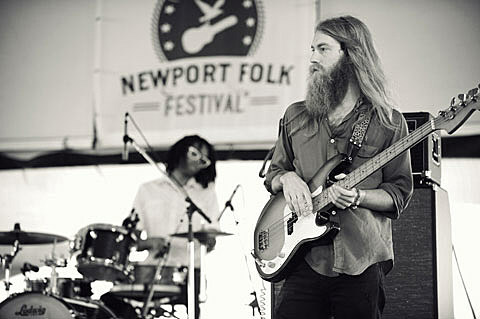 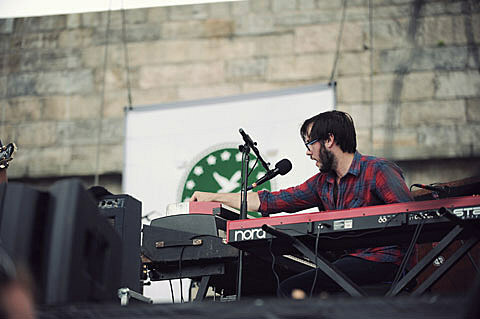 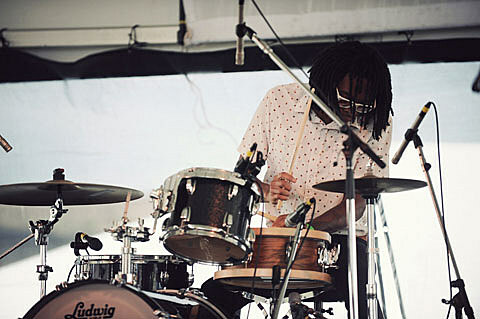 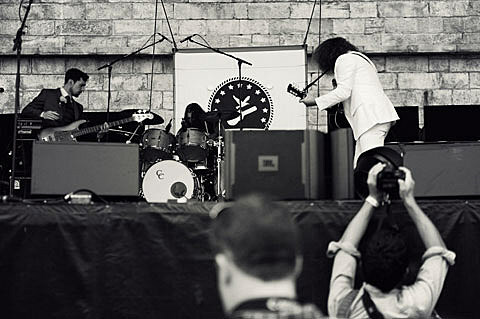 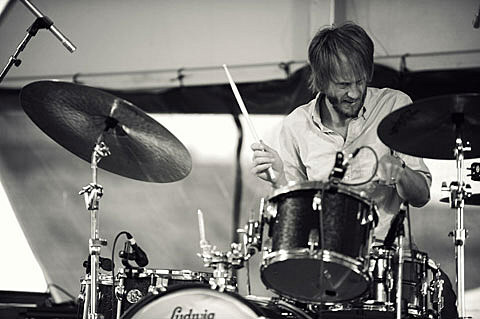 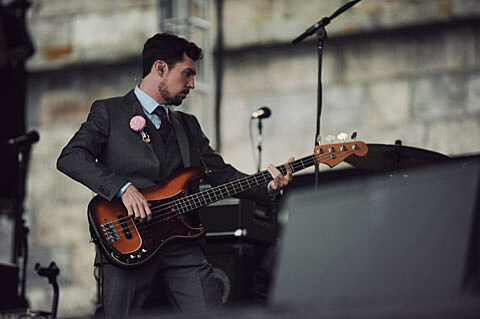 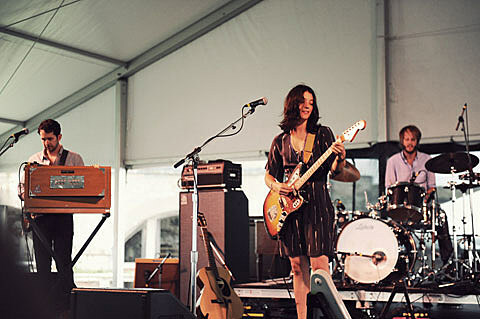 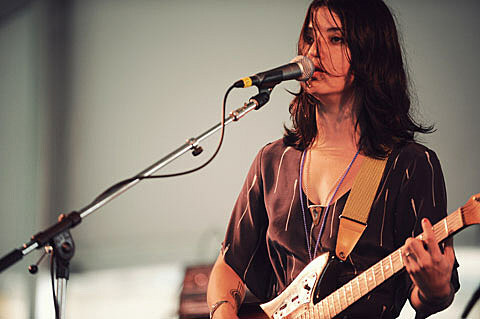 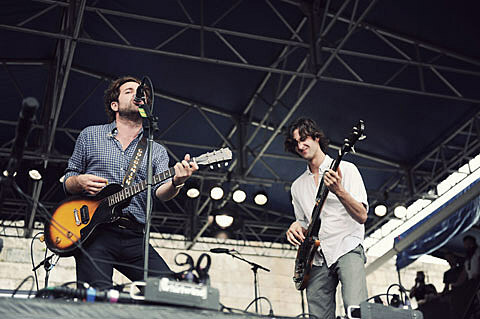 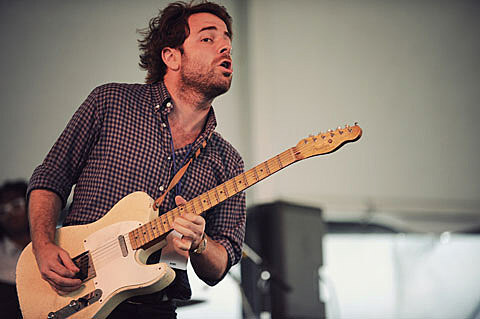 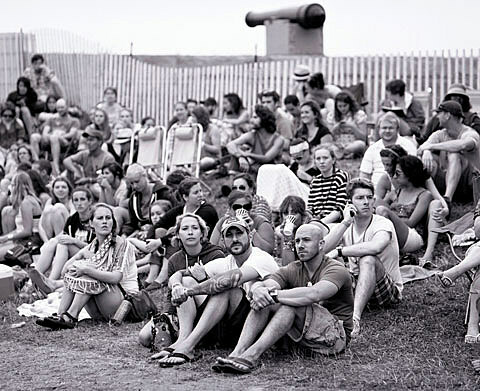 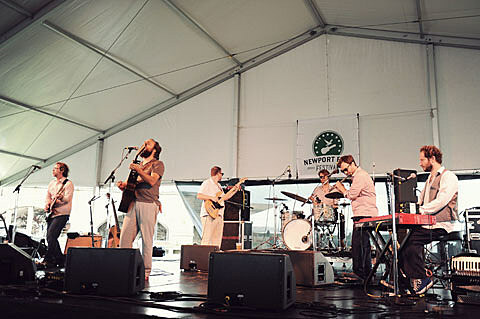 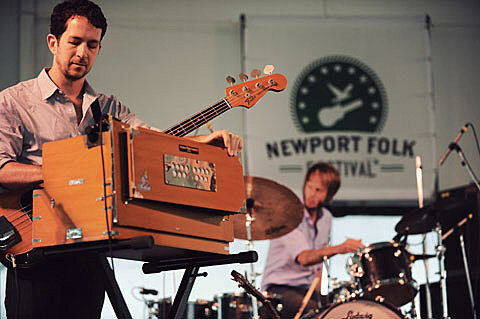 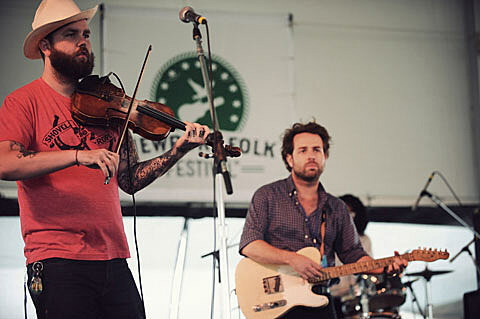 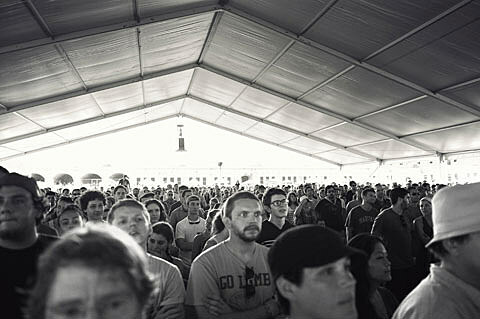 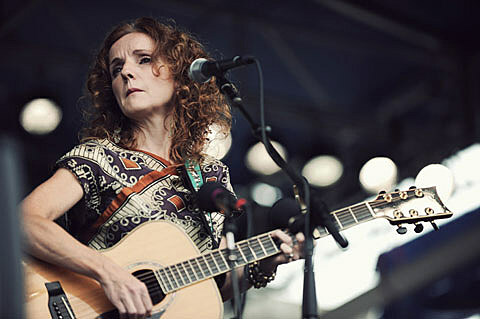 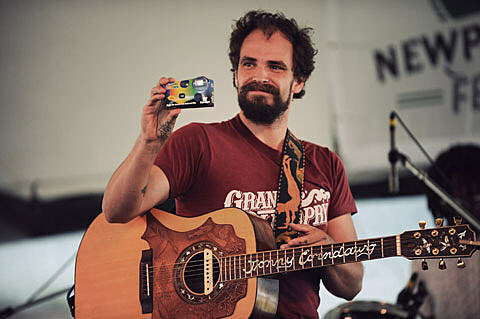 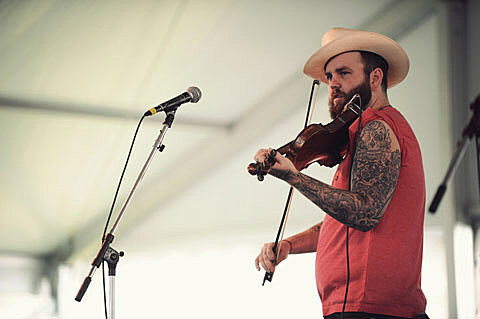 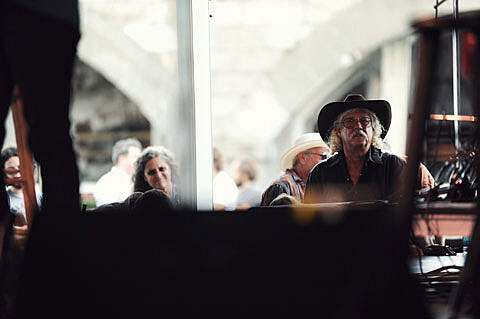 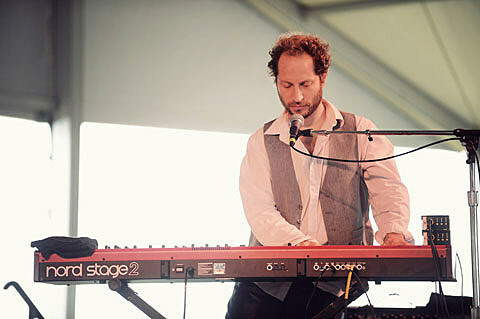 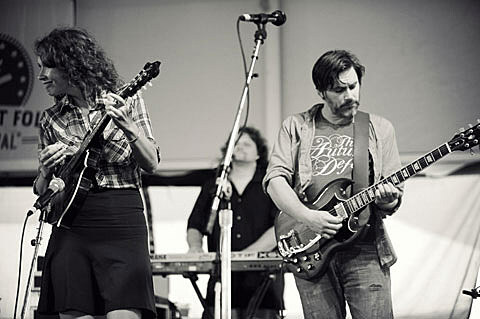 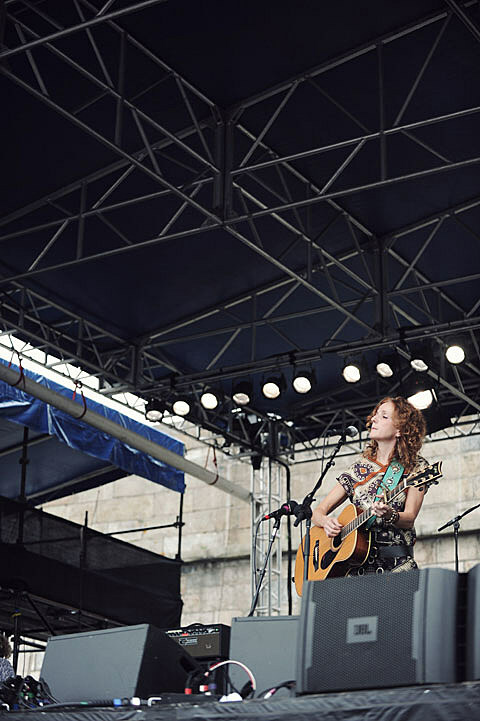 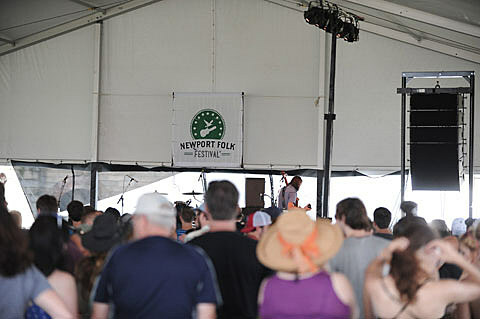 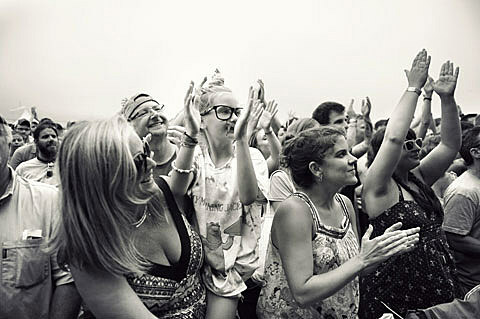 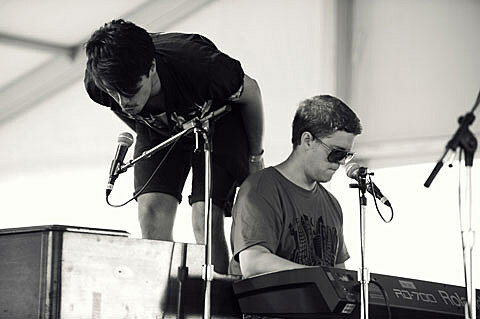 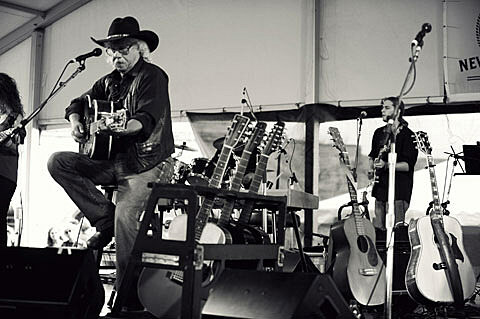 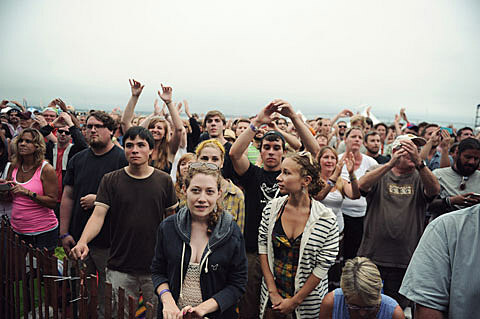 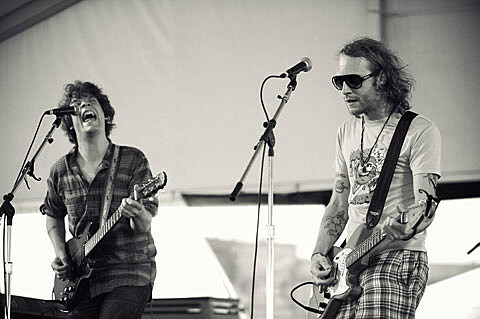 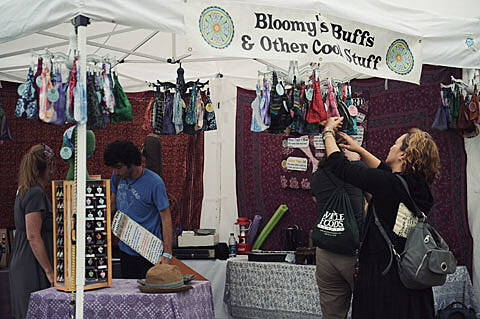 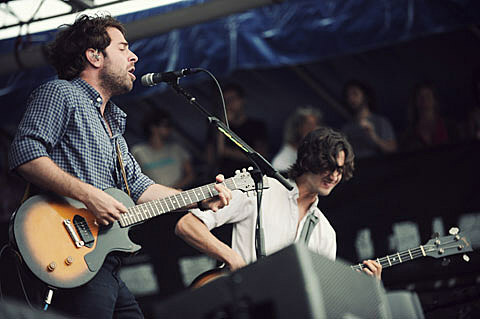 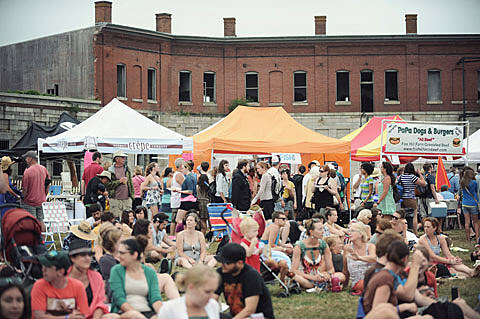 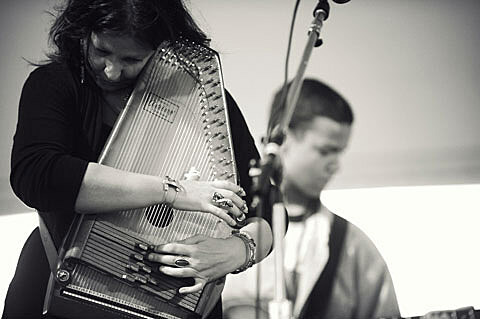 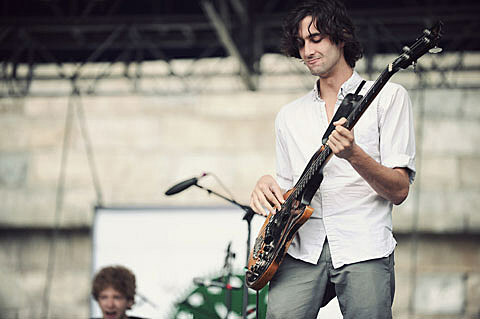 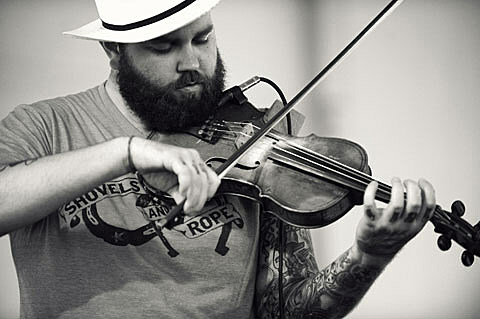 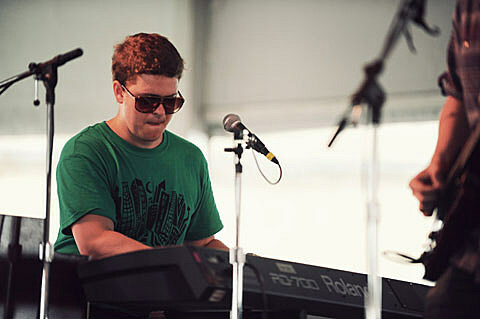 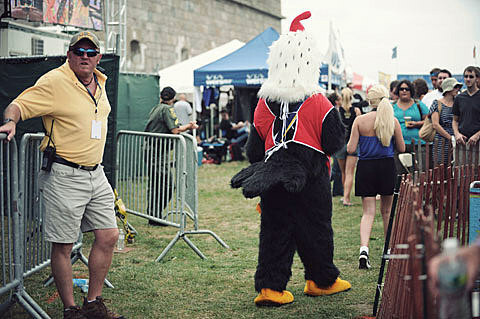 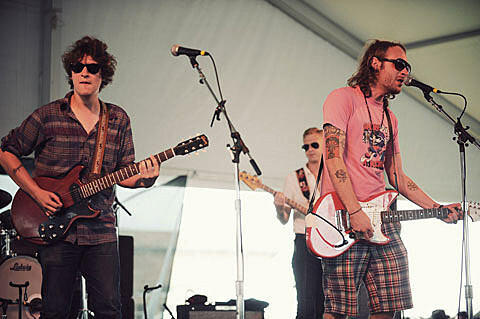 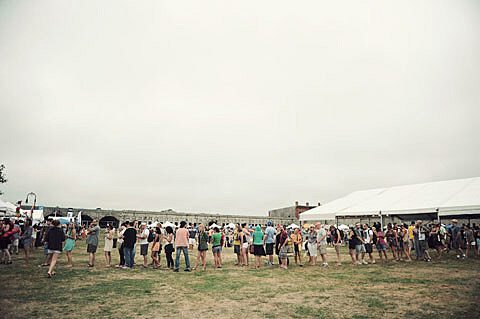 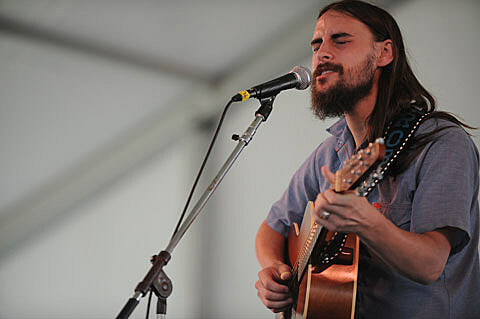 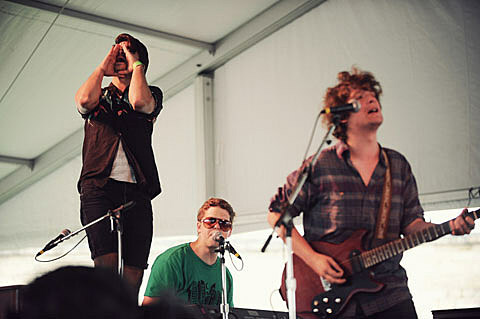 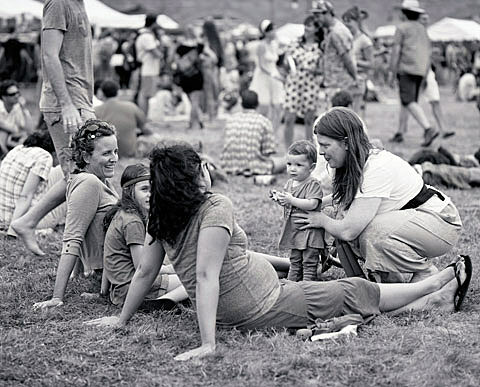 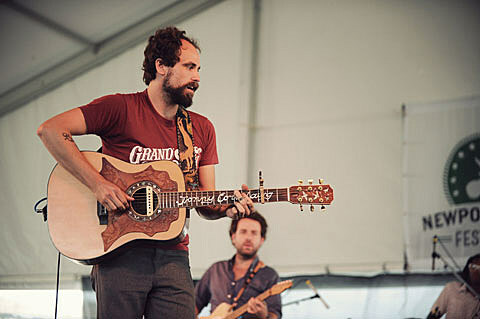 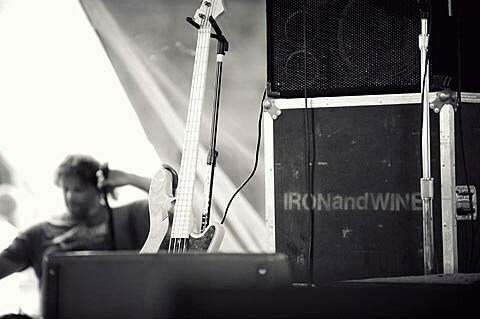 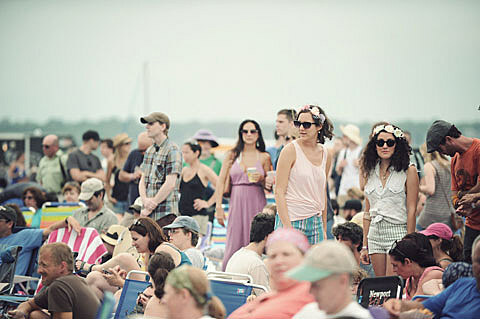 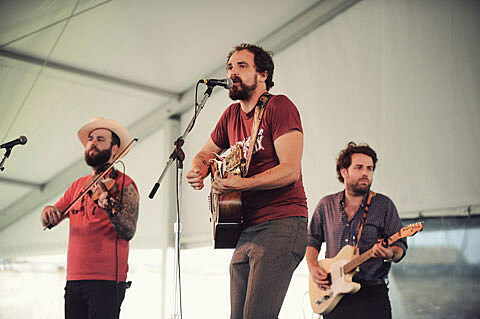 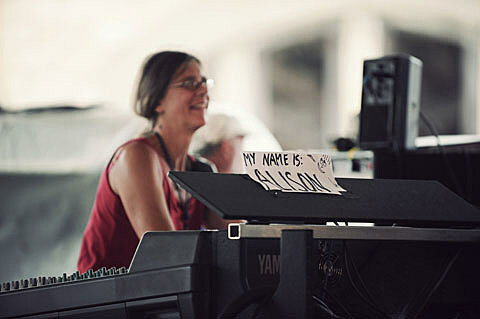 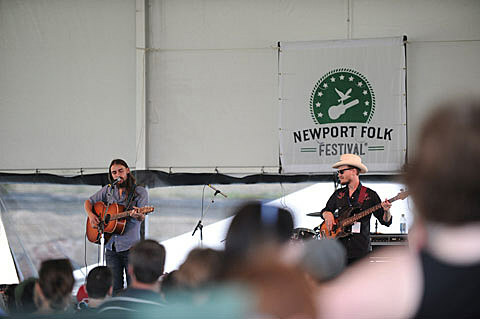 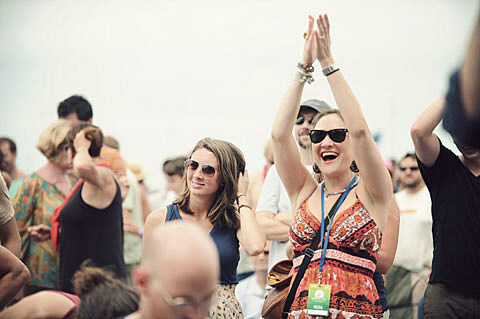 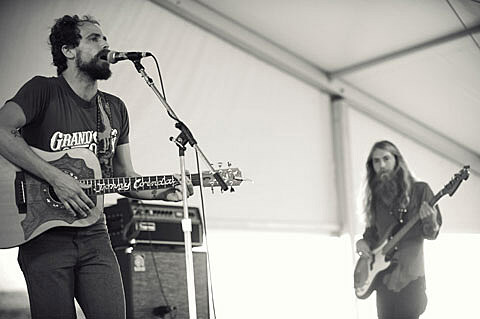 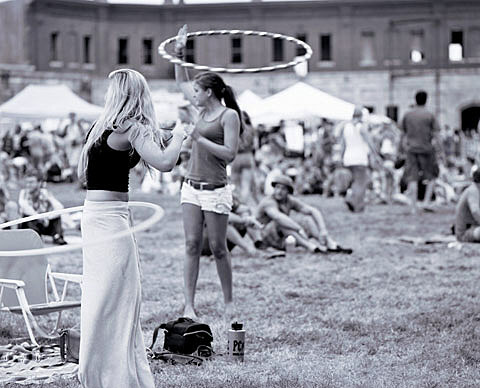 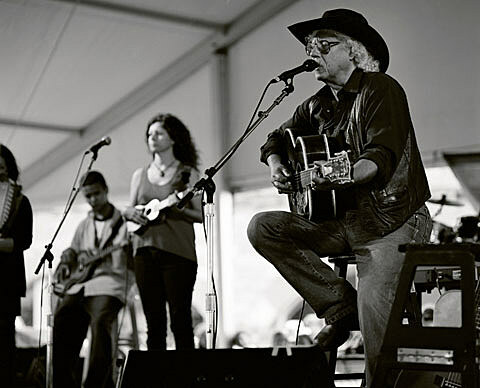 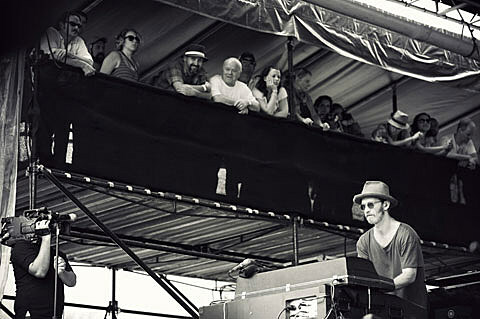 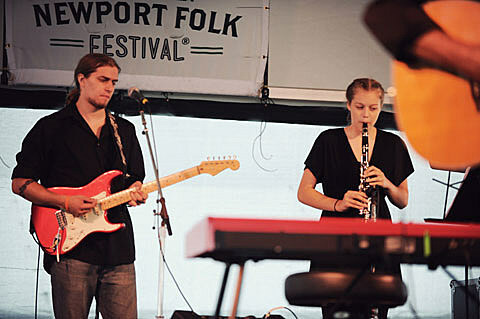 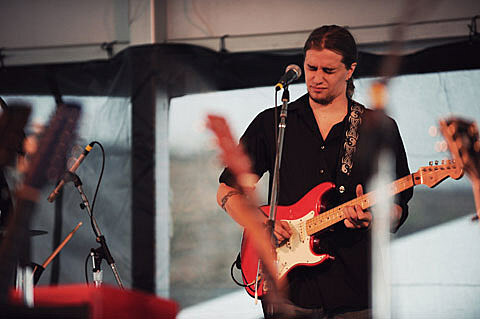 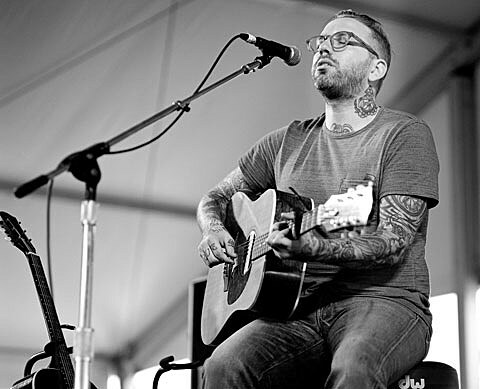 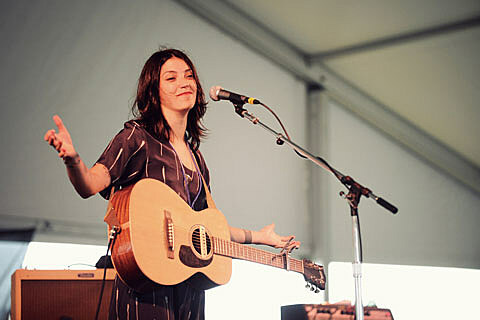 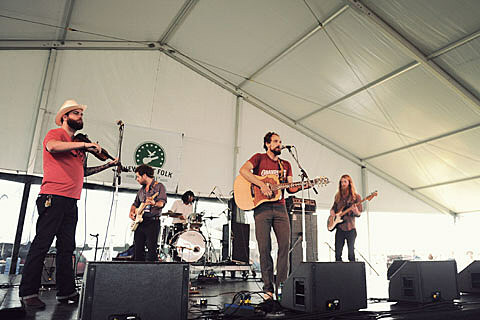 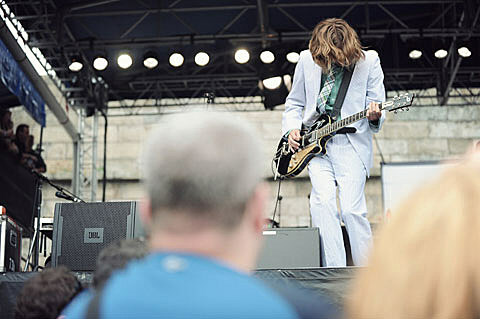 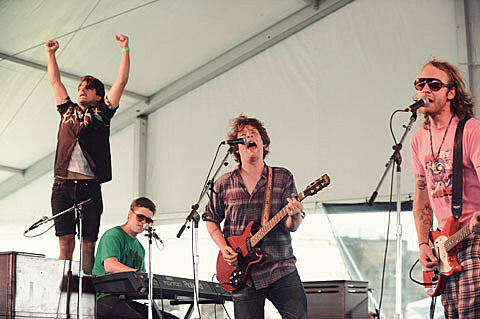 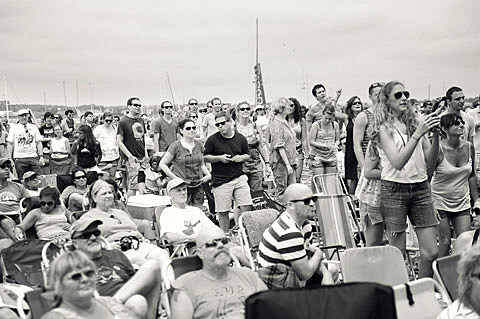 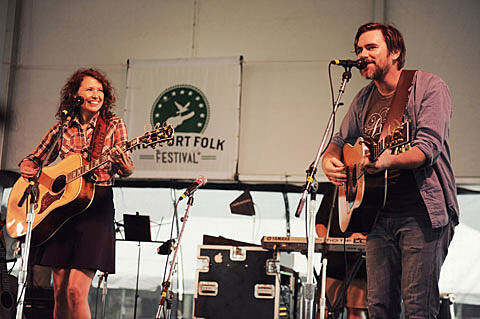 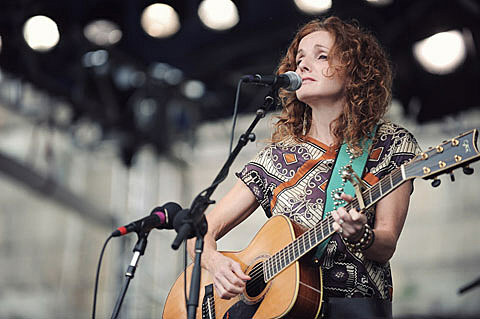 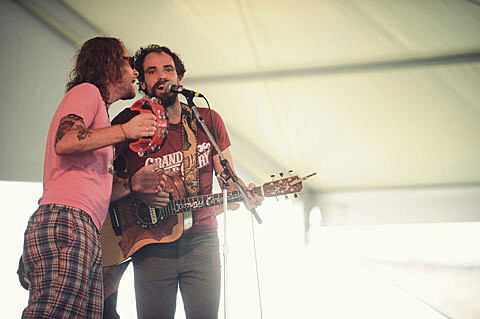 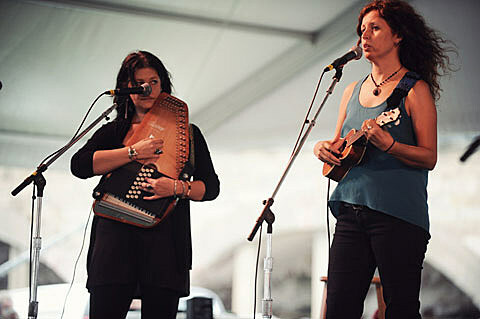 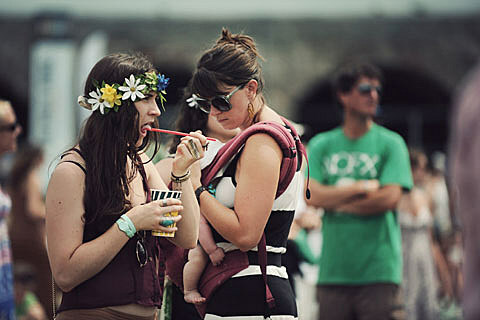 More pictures from Newport Folk Fest are below.